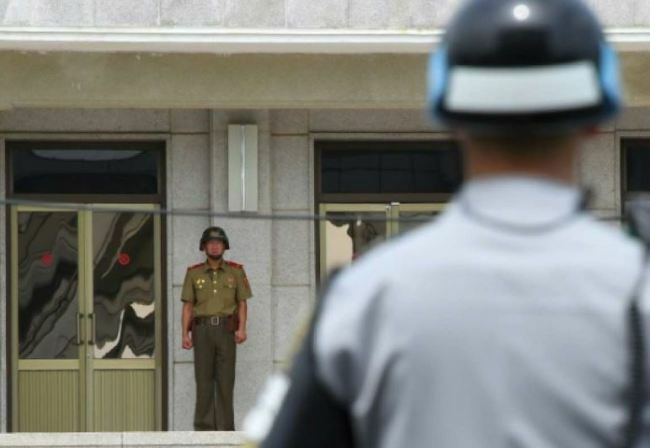 North Korea has released a Japanese citizen who had been held in custody for allegedly violating its law, saying the decision was made “on the principle of humanitarianism,” the North’s state-run media reported. The Korean Central News Agency reported Sunday night on the release of Tomoyuki Sugimoto, a Japanese who had been under investigation for an unspecified crime. He was “kept under control by a relevant institution to be inquired into his crime against the law of the DPRK,” the KCNA said in an English dispatch, using the initials of the North’s official name, the Democratic People’s Republic of Korea. “The relevant institution of the DPRK decided to leniently condone him and expel him from the DPRK on the principle of humanitarianism,” it added. The North’s media outlet did not provide detailed information about the crime he allegedly committed or how long he had been in custody. Japanese media speculate that the man might be a 39-year-old video creator, whose arrest in North Korea they had reported in mid-September. The man is believed to have been sent to China, either by train or airplane. The Japanese government is said to be working to determine his whereabouts. Experts are analyzing the intent behind the North’s decision. Some speculate that the move was a conciliatory gesture to improve the North’s ties with Japan, which have worsened recently. Japan has stepped up its demand for North Korea to resolve the issue of Japanese citizens kidnapped by Pyongyang decades ago.